Don’t underestimate the importance of your front door! It’s often one of the first things people notice from the street and is usually the last thing they see before actually entering your home. Talk about a big job your front door has with making first impressions! 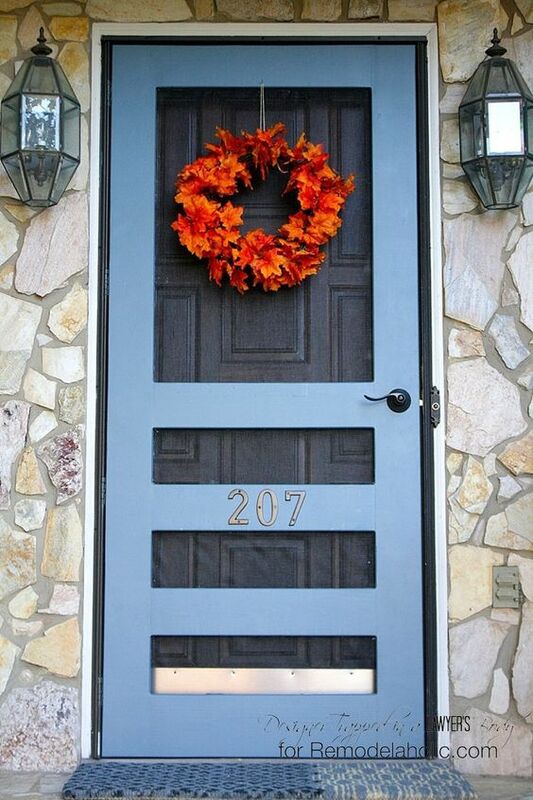 One way to add some character (Not to mention practicality) to your front door is with a screen door. 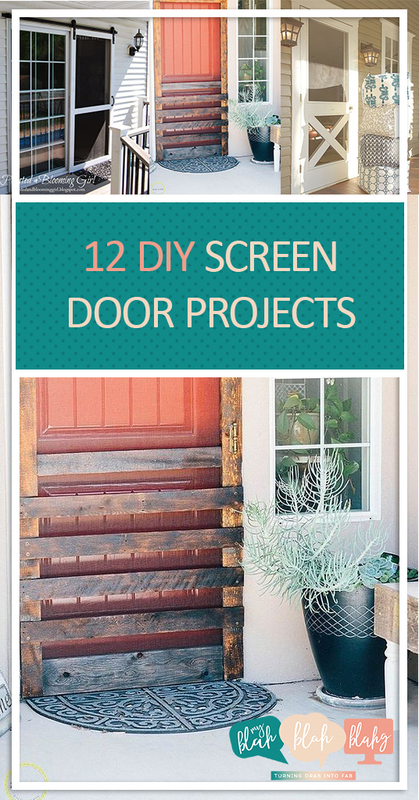 Read on for 12 DIY screen door projects. Which one is your favorite? #3 is right on up there for me! I love seeing what can be made from something as once overlooked as a pallet! 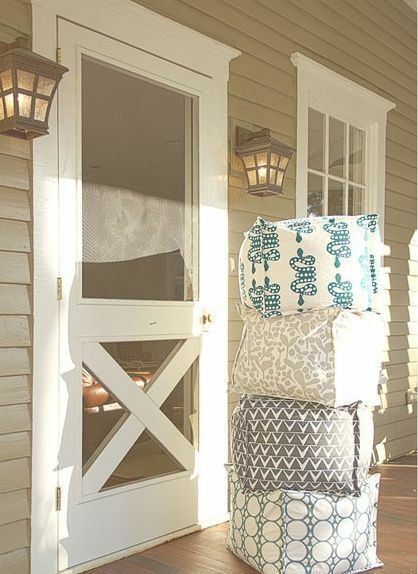 Learn how to make your own screen door using just a pallet and some basic tools and hardware from Hometalk. If you can spend $12-$20 and have a couple hours, this project is for you! I LOVE the personality the pallet boards bring to the bottom of the door! 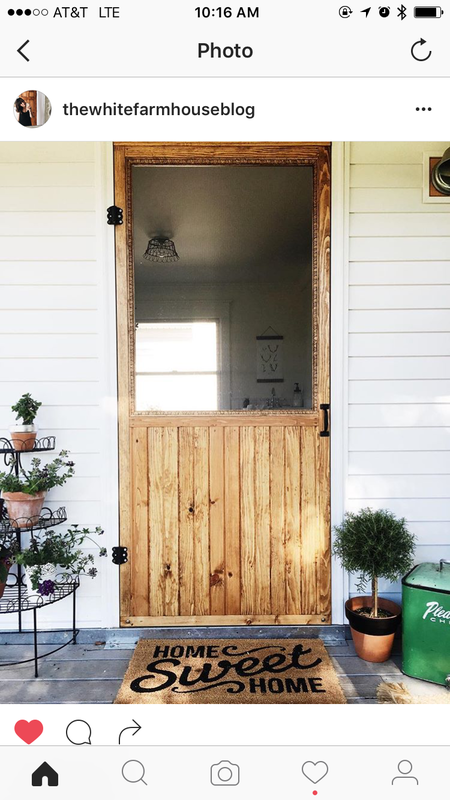 This screen door would look fantastic on a barn-style home. It captures the look without compromising curb appeal. Source. Speaking of curb appeal, how dreamy is this house? The screen door adds such inviting personality and light. Guests would have no problem feeling welcomed and cozy with a door like that! For as much character as screen doors can add to your home, let’s admit it, they can sometimes be annoying when they spring closed on you. 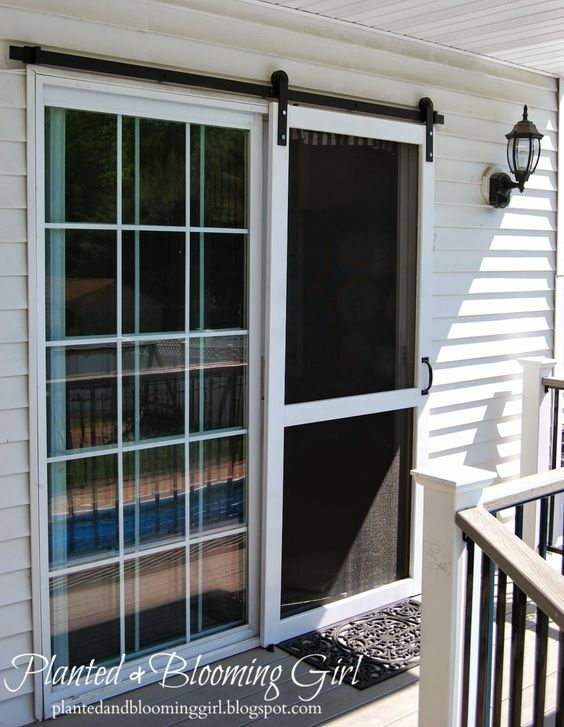 But this sliding screen door let’s you have it all… the screen, appeal, but no door slamming back on you when you open it up. Learn more from Cure 4 Decor. Here’s another farm style screen door that I absolutely love! The simple cross or X design adds such charm to the porch! You’ll get “ooohs” and “aaaahs” from passersby, no doubt! If you’re wanting to add some color to your front door but aren’t quite sure or ready to paint your entire door, painting the screen door can be a happy compromise. It gives you just enough color to spice things up but not so much that your door becomes useful for air traffic control. I also like how they added the house address to the screen door for a little extra eye candy. 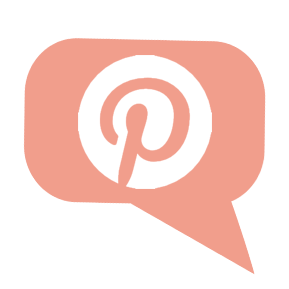 Find this DIY screen door project on Remodelaholic. Who said screen doors can only be used on front and back doors? There are no rules like that in today’s DIY world! 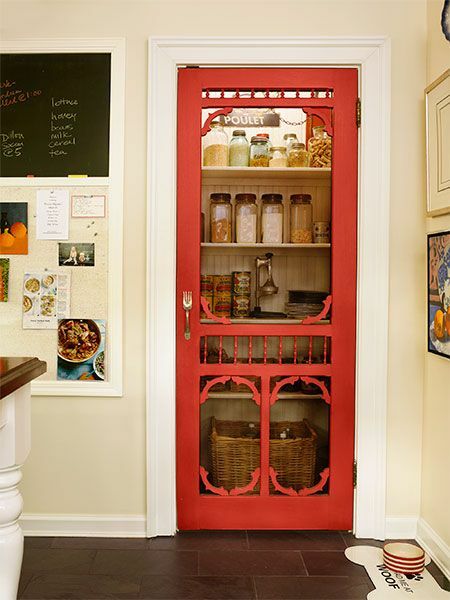 I am in pantry door LOVE with this idea for the kitchen. My husband knows that’s basically code for, “This is my next DIY project!” Besides just adding so much fun personality to your home, the pantry screen door will also demand that you keep your pantry organized. It’ll take work, but I’m okay with some forced organization. Source. We have this one piece of furniture in our kitchen, a wine server, that has been with us for a couple of moves. It fit nicely into the home we purchased it for, but I have been trying to find a way to replace it after leaving that house. A screen door server or shelf would be a great way to fill that space! It’s functional and you can give it your own sense of style and personalization. Get the DIY details from One More Time. Keep the screen door on the front porch, just not in such a conventional way… What a fun way to display some greens and other seasonal decor! Source. If you’ve read my other posts, you’ll know that I’m not exactly the greatest gardener. I’ve only taken it up relatively recently and have only taken on smaller projects. But that doesn’t mean I don’t keep my open for inspirational projects! One of my favorite fall time foods is squash so as part of my baby steps into gardening, I’ve planted a few squash in my raised garden. It’s a plant that needs a trellis to help maintain the vines. 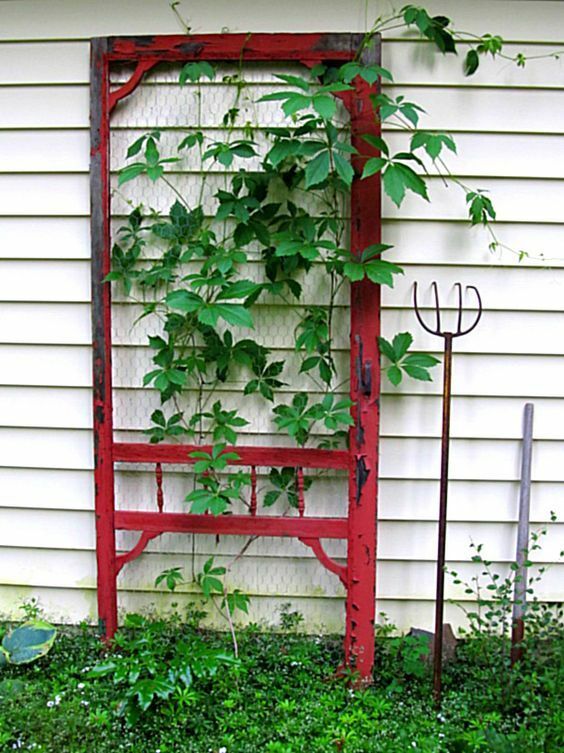 It’s too late for this growing season, but I think a rustic screen door trellis would look nice in my tiny little garden! Link to source. 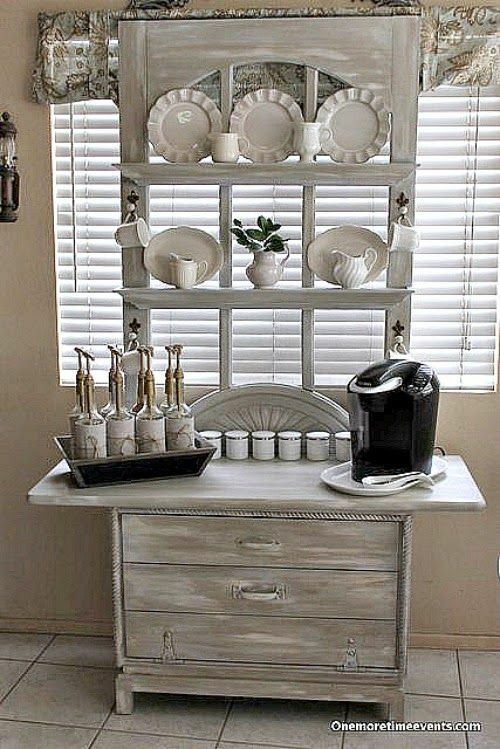 What an appropriate display for your special china and dinnerware! 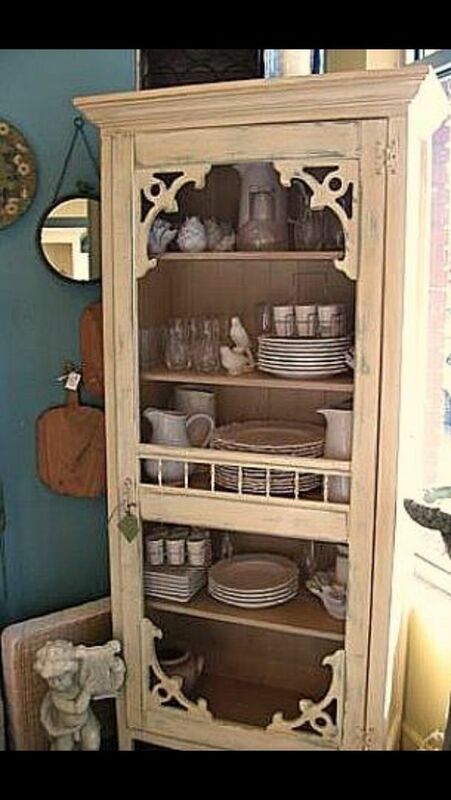 Special heirlooms deserve special presentation, and a truly unique screen door china cabinet does just the trick! Image source. Here’s a project for those of you looking for a slightly more ambitious project. If gardening is a passion though, this project seems all to perfect to put off! 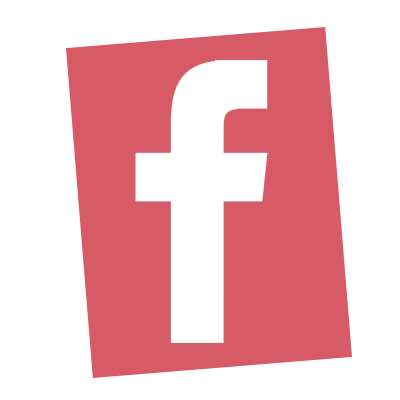 Hometalk shares DIY info here.